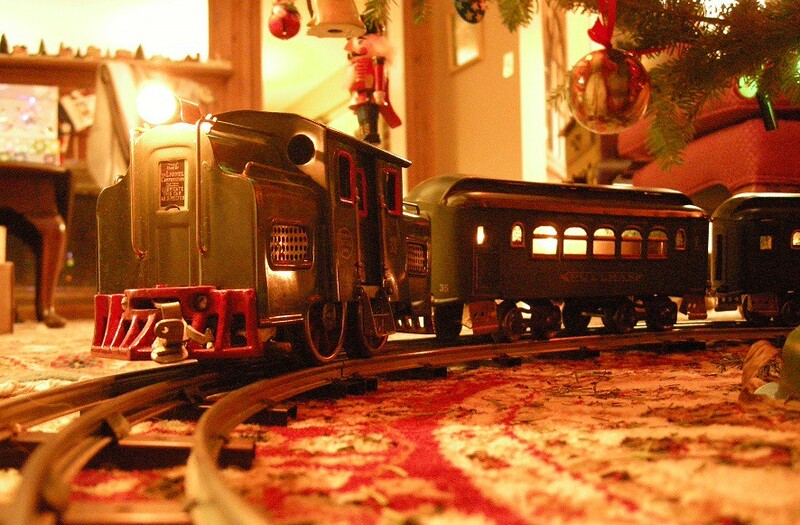 Yup, the Lionel 68 looks sharp. 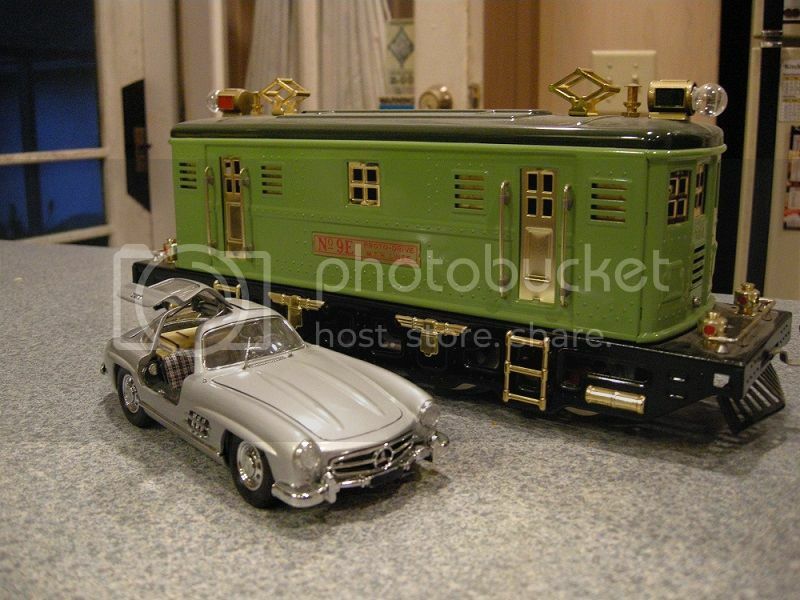 Around the holidays I put one on the fireplace mantle...helps smoke out any toy-train buffs that visit the house. 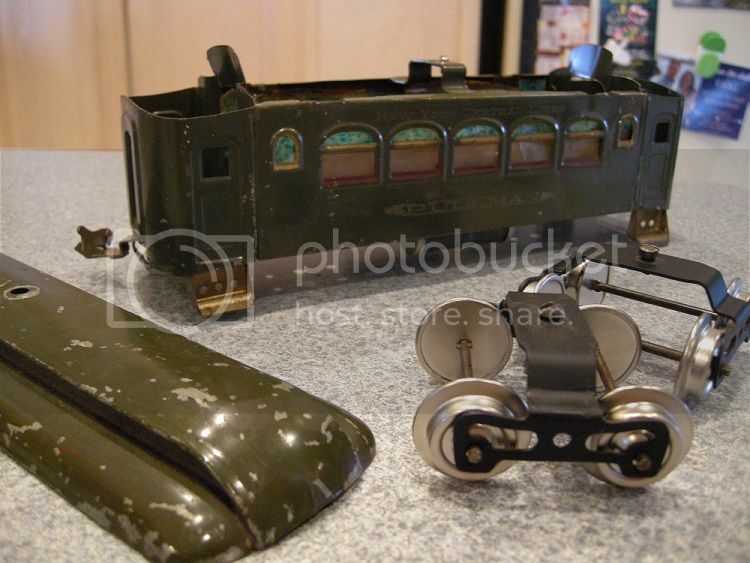 The refurbished trucks were recovered from an early Lionel piece...they should work here. I think I might repaint the roof at some point, but just clean up the body and interior. Paul, what material did they use over the windows on the side? It looks like they're in good condition compared to many I've seen. Paul - The top-side window material is a plastic film with a mottled white and blue treatment hand-applied to it. Reproduction machine-printed material is available but it is a bit thicker and less translucent then the original. If possible (and it usually is) one should try to recover the original material for re-use. Like the clear plastic window material, it is held in place by a few sharp-edged tabs. When I get around to working on this car I'll need to add a pick-up to one of the trucks to provide current for the lighting. 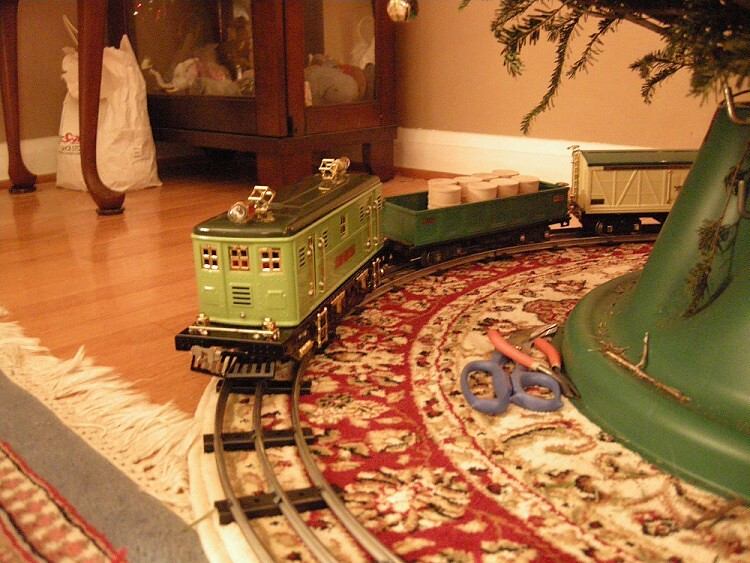 The earliest versions of these cars had no installed lights...they were lit by a string of lights that could be purchased separately and run through them from a connection on the locomotive. I've only ever seen one of those kits manufactured by Lionel. The 33 that I have has the connecting post but it is not wired into the loco. I often wonder what the correct "scale" is for Standard Gauge...somewhere beween 1/24-1/32 I suspect. A former shelf-queen, this loco needed a Protosound chip reset before we could get it running. It's a common problem with battery-backup Protosound units. At some point I'll go back and install rechargeable capacitors (BCR's) to this and my 392E, mitigating the problem. 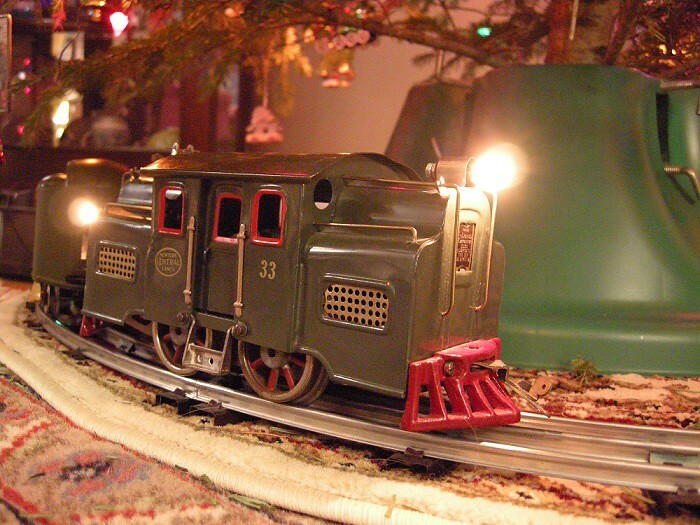 Lionel 33/35/36 set from 1925-1926. Despite a chunk missing from one of the drive-wheels and a few teeth from the pinion gear, still runs like a champ. We'll work on getting the 10 back in running order for 2019.